Oshawa, ON and Evergreen, CO (March 1, 2019) – MapArt Publishing and National Geographic Maps announced today that they have signed a deal to distribute products to the Canadian market place. 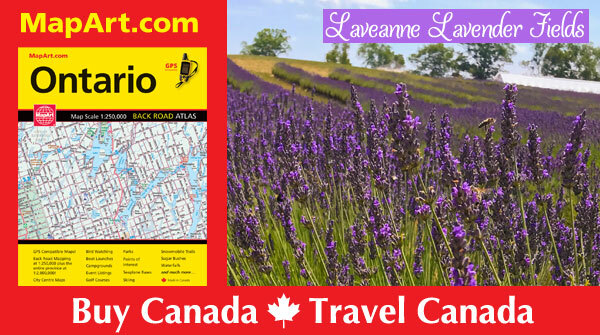 This includes National Geographic’s best-selling line of Travel Maps and product families such as City Destination Touring Maps, Fishing and River Recreation, Local Trails Map and Guide, Map Archive, Recreation Atlas, Reference Wall Maps, Trails Illustrated Topographic maps and many more. The first product launch will be a series of National Geographic Wall Maps and MapArt plans to have them to market by April 1. 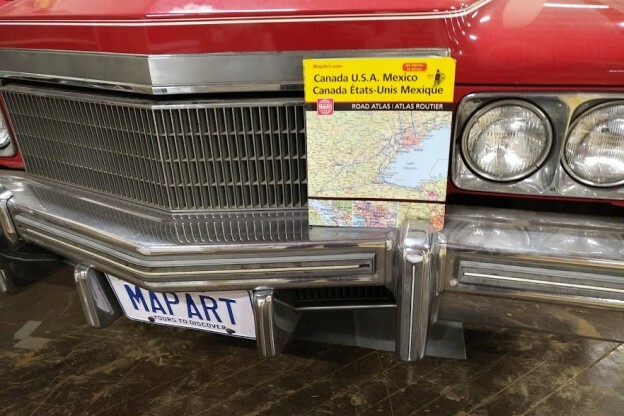 About MapArt: MapArt is Canada’s leading distribution house of Maps, driving publications, Tree-Free greeting cards, souvenirs, and children’s impulse items. Headquartered in Oshawa, ON, with sales agents from coast to coast MapArt is the official distributor of Tree-Free Greetings, Ministry of Transportation handbooks, Phone Pop Upz, Colourful Travels colouring books, Okee Dokee Stickers and much more. This entry was posted in News on March 1, 2019 by cccmaps. , just a short drive north of Port Hope, Ontario. Walk through fields of colourful purple lavender blossoms or find your way through the lavender labyrinth. Pop into the gift shop where you will find an array of lavender inspired products such as sachets of lavender, body products, cooking products and gourmet treats. You will find everything from yoga to cooking classes, photography and various crafting workshops and even a beekeeping seminar! MapArt’s Ontario Back Road Atlas will help you get there! This entry was posted in Day Trips, MapArt, News on July 27, 2018 by cccmaps. The best selling Road Atlas in Canada is back and here are three reasons you should have it in your car. 1. Maps help you plan. GPS is great for great for “point A to point B” but what about what’s in between? Stop looking at a small segment of the road and see the big picture. It’s not about one or the other, GPS and maps are great together, because you get the now and become aware of all the awesome around you. 2. Maps never lose service. It happens, the signal is lost or it just keeps insisting you to drive into that lake. A road atlas is a wonderful second opinion that will also keep you safe and hopefully dry. 3. Maps can’t run out of battery power. It always happens when you need it the most doesn’t it? Losing battery power has an amazing sense of occasion. A Road Atlas can keep you from the eternity it takes for your phone to charge. A road trip is a special time of happiness and excitement, please take us along with you to improve your experience, it’s what we do. 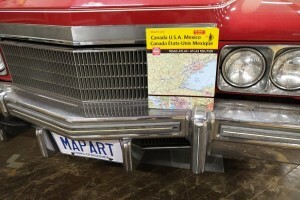 MapArt is Canada’s leading distributor of maps, atlases and travel publications. Since 1979 we’ve faithfully distributed top quality brands including Rand McNally, Backroads Map Books, JD Star Eyewear and lifestyle products, Okie Dokie Stickers, MyCart Companion and Tree-Free Greetings just to name a few. Proudly Canadian owned and operated. This entry was posted in GPS Mapping, Just Arrived, MapArt, News, North America, Recreation, Road Atlases, USA on December 11, 2017 by cccmaps. Since we announced the Tree-Free Canada Arts Project in early spring, our hopes were eager for an enthuesastic response by at the very least, a handful of Canadian artists. We’re excited to say our hopes and expectations were more than met. This journey has been one of the most welcoming and positive experiences in the history of our company, we’ve heard from Canadians from all walks of life, each one of them so excited to share their impressive creations. Our desks and inboxes are full of so many inspiring pieces that it’s honestly going to be difficult to choose. To have such problems, this is the kind of “busy” you dream of being. From all of us here at Tree-Free Greetings Canada, our thanks to you for supporting and promoting this project. I am happy to announce, it will be an ongoing event. All submissions will be kept on file for upcoming card wave reviews. While we begin the process, there is still time to join in. Simply drop an email to us at cards*at*tree-free.ca (replacing the *at* with an @ of course) and you’re in! Our review board will begin selecting designs for the first wave of Canada Arts Project cards at the end of the month. We’ll then start reaching out to the many talented people who submitted. Tree-Free Greetings are distributed in Canada by MapArt Publishing. Cards are printed in Canada using post consumer materials and using vegetable inks. Save Canadian Trees and Jobs by choosing Tree-Free. This entry was posted in News, Tree-Free Greetings on September 7, 2017 by cccmaps. 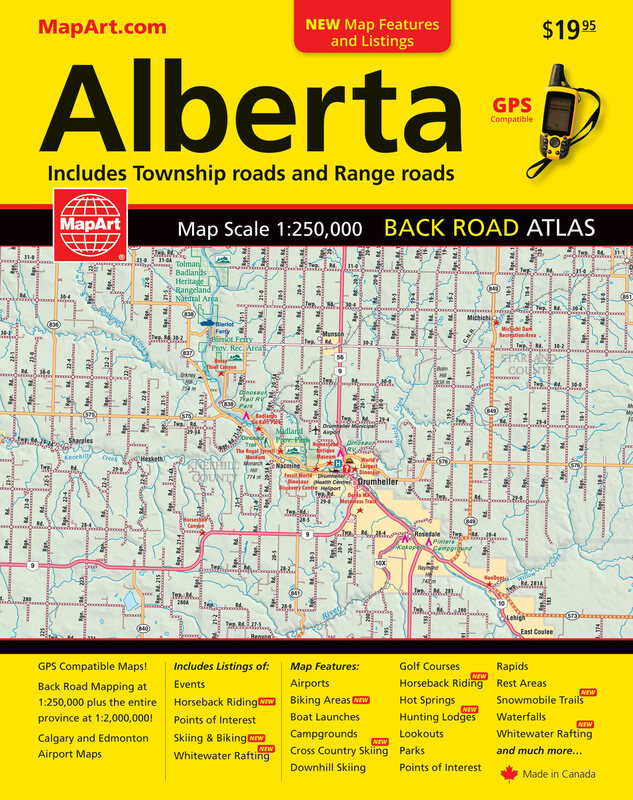 The best selling Road Atlas returns, the 2018 MapArt Alberta Road Atlas is beautifully revised and updated in a bold new easy to read style. This GPS Compatible Atlas has many new features including Horseback riding, Skiiing and Biking, Whitewater Rafting, Biking, Cross Country Skiing, Hunting Lodges, Snowmobile Trails and much more. Whether it’s for work or play, the Alberta Road Atlas is a must have in your vehicle. Available at finer retailers in Alberta or via our online map store. This entry was posted in Alberta, Back Roads, Just Arrived, MapArt, News on June 30, 2017 by cccmaps. 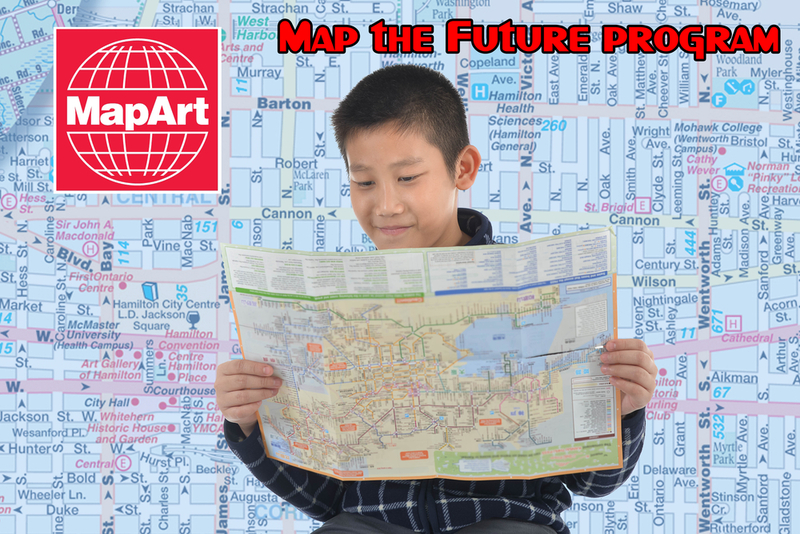 Hot off the press and available just in time for Canada’s 150th, the new MapArt Ottawa Downtown Explorer is an essential this summer season if exploring the nations capital. A compact durable title, the Ottawa Explorer gives you the run down on shopping, parks, points of interest, golf, festivals and much more. Know Ottawa like a local with the MapArt Down Town Explorer. 100% designed and printed in Canada. Available at finer stores everywhere or via the online Map Store. This entry was posted in Canada 150, Downtown, Folding Maps, Just Arrived, MapArt, News, Ontario, Ottawa on May 11, 2017 by cccmaps. 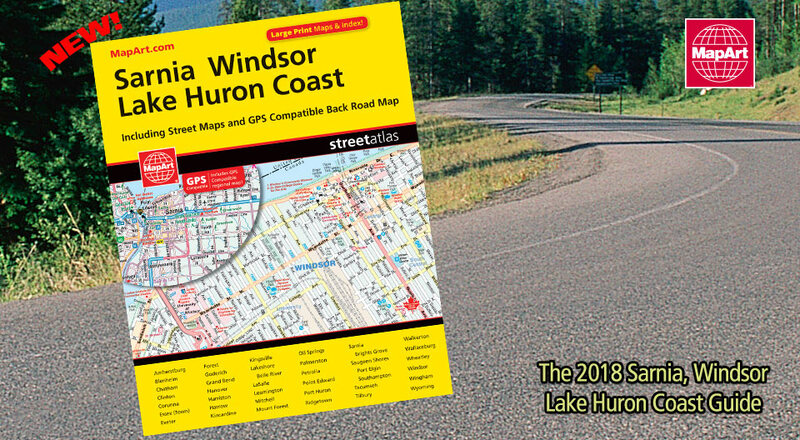 This brand new MapArt street and road atlas is the definitive auto companion for travel in this part of Western Ontario, whether you are a resident or short-term visitor. It’s got all the features to make even the unfamiliar regions easy to navigate. Street and Community maps are at a large print easy to read 1:20,000 scale. GPS Compatible Back Road Atlas pages are at 1:250,000 scale. Amherstburg, Blenheim, Chatham, Clinton, Corunna, Essex, Exeter, Forest, Goderich, Grand Bend, Hanover, Harriston, Harrow, Kincardine, Kingsville, Lakeshore, Belle River, LaSalle, Leamington, Mitchell, Mount Forest, Oil Springs, Palmerston, Petrolia, Point Edward, Port Hurn, Ridgetown, Sarnia, Brights Grove, Saugeen Shores, Port Elgin, Southhampton, Tecumseh, Tilbury, Walkerton, Wallaceburg, Wheatley, Windsor, Wingham, Wyoming. Features include: Liquor stores, Provincial Parks, Wineries, Beer Stores, Police and Fire stations, Hospitals, Schools, recreation centers, Arenas, Golf Courses, Camping, Casinos and more! 106 pages and just $12.95! This book was designed and printed in Canada. Made in Canada matters. This entry was posted in Back Roads, GPS Mapping, Just Arrived, MapArt, News, Ontario, Road Atlases, street guides and tagged back roads, cccmaps, county, essex, guides, Map Art, Maps, michigan, mitchell, port elgin, ridgetown, sarnia, tilbury, Tourism, windsor on January 17, 2017 by cccmaps. Whether you’re planning a trip this Spring or just someday, our newly revised deluxe Europe travel map is your best bet to plan. Loaded with beautiful details and printed on durable stock, this 1:2 700 000 scaled map folds out to an impressive 37″ by 49″. 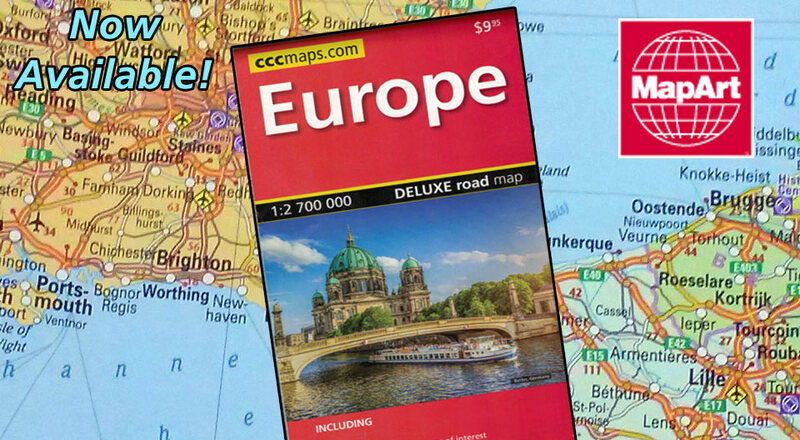 Like all of our deluxe European series, this map is attractively priced at just $9.95. This entry was posted in Europe, Folding Maps, Just Arrived, MapArt, News and tagged destinations, Huber, Map Art, mapping, Maps, Travel on January 11, 2017 by cccmaps. Ottawa Gatineau Guide expands content to include Kingston and more! This revised book also includes the entire area in an up to date, GPS compatible 1:250,000 scale back roads mapping not available anywhere else. 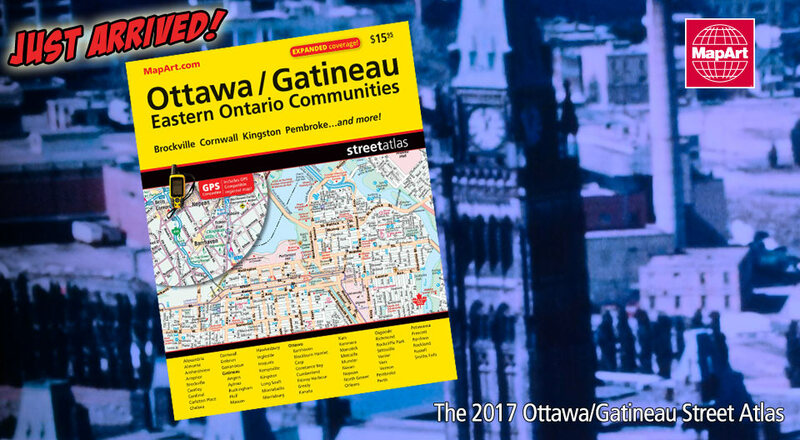 Still just $15.95 the 2017 Ottawa Gatineau Large Print Street Atlas is available at finer retailers everywhere and at our Online Map Store. This entry was posted in Back Roads, Just Arrived, MapArt, News, Ontario and tagged 2017, Cornwall, embrun, Ingleside, Kanata, Kemptville, Kingston, Map Art, Maps, Ottawa, Perth, Petawawa, roads, Smiths Falls on January 9, 2017 by cccmaps.